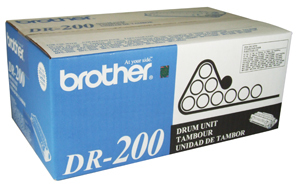 Genuine OEM Brother DR-100 Black Drum Unit. They are designed to work in the Brother HL-630, HL-641, HL-645, HL-650, HL-655, Intellifax 2300, MFC-3900, MFC-4000, MFC-4400, MFC-4500, MFC-5500, MFC-5550, PPF-2300, PPF-2400, PPF-2500, PPF-3500, WL-660 printer/copier(s). 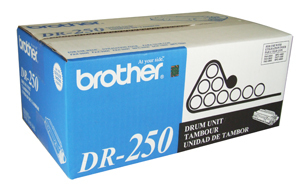 Genuine OEM Brother DR250 Black Drum Cartridge. They are designed to work in the Brother DCP-1000 printer/copier(s). 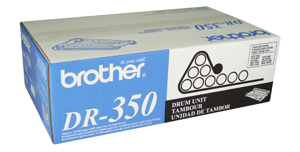 Genuine OEM Brother DR350 Black Drum Cartridge. They are designed to work in the Brother DCP-7010 printer/copier(s). Genuine OEM Brother DR400 Black Drum Cartridge. They are designed to work in the Brother DCP-1200 printer/copier(s). Genuine OEM Brother LC03BC Cyan Ink Cartridge. They are designed to work in the Brother IntelliFax 1820c printer/copier(s).